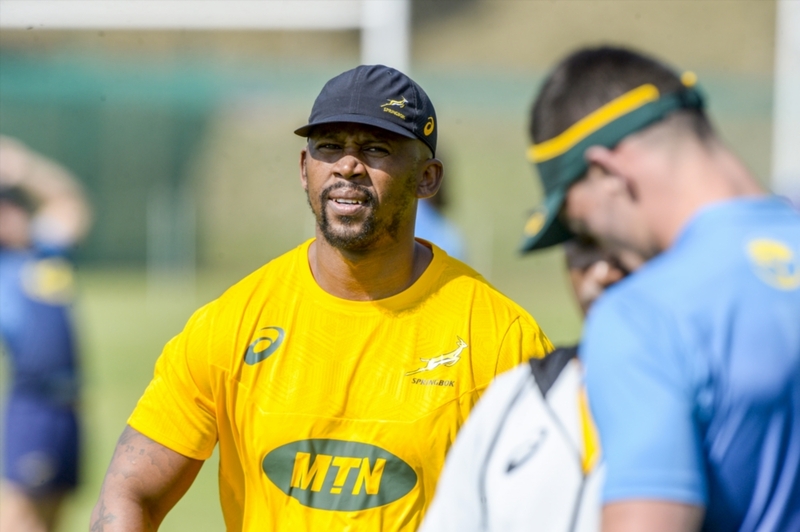 Assistant coach Mzwandile Stick says the Springboks will have to be more accurate at the breakdowns against a fiercely passionate Argentina in Mendoza. The Boks are currently in Buenos Aires preparing for the second match of their Rugby Championship campaign. Rassie Erasmus’ side beat Argentina 34-21 in Durban last week, and will be favourites to down the Pumas again when they travel to Mendoza this weekend. The Boks scored six tries in the recent victory at Kings Park. They are expecting a more challenging contest in Argentina, though, particularly at the rucks and collisions. ‘We know how much heart and pride they play with at home,’ said Stick, speaking from the Bok team’s base. ‘They will always challenge you, especially at the breakdowns. They gave us a bit of a tough time in that area last week, particularly in the wider channels. Bok No 8 Warren Whiteley has called on his teammates to lift their intensity levels ahead of the clash on Saturday. ‘The Pumas scored good opportunistic tries and put us under pressure in the first half,’ said Whiteley. ‘We did well to hold on to the ball in the second. It was a physical game and a tough contest, and we can be proud of our intensity. ‘We know it’s tough to play here against a passionate team. They play for their supporters and their loved ones. They bring a lot of intensity at home. It’s a different kettle of fish over here. ‘We’ve just come from our review [of the game in Durban], and there are a few areas in which we are looking to improve. One thing is for sure, we will have to lift the intensity even more for a game like this. Stick added that the side is looking to produce a sharper showing this Saturday. While they put six tries past Argentina in Durban, they left a few opportunities on the park through poor handling, kicking and decision-making. Erasmus will announce the Bok team on Thursday afternoon.